There’s no shortage of content out there in the digital world. People are overloaded with information that they cannot process. Videos are a breath of fresh air in a world dying with information overload. It is easier for the brain to process visual content amidst a sea of text. Creating an impact through videos is therefore that much easier. Users are more likely to share and re-share video than other forms of content. It is a great tool for businesses and professionals to showcase their vision, expertise, products, services, company news and announcements for maximum outreach. Videos drive traffic and engagement, they convey information better than other types of content and promote trust in the brand and its products. 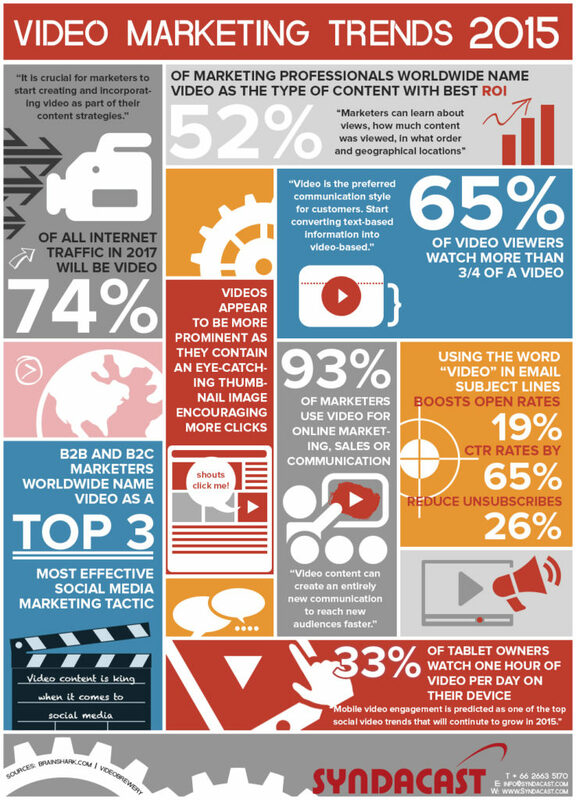 Little wonder then, that video is becoming a critical component of every company’s marketing mix.